I have had it with people buying Cheap (Bootleg) Chinese (Hobby) Electronics! From counterfeit parts to illegal RF transmitters, I have to write about this! Ever since I started Hong's Electronics, one of my first posts was about fake and dangerous electrolytic capacitors from China. The disturbing part about all of this is that it is not a relatively new problem, and it is only getting exponentially worse. Yes, it is a valid argument to say that not all cheap and bootleg electronics are bad. Sometimes it is a necessary and temporary evil to get your project working. I try to buy as any genuine development boards as I can, but sometimes it is hard to resist the bootleg $5 Arduino Uno boards, especially when you want to test a circuit that you suspect might burn out a few pins or destroy the microcontroller. It is a completely valid point to say that bootleg Chinese electronics have lowered the barrier for entry and there is no better time than ever to learn electronics or become a hobbyist. 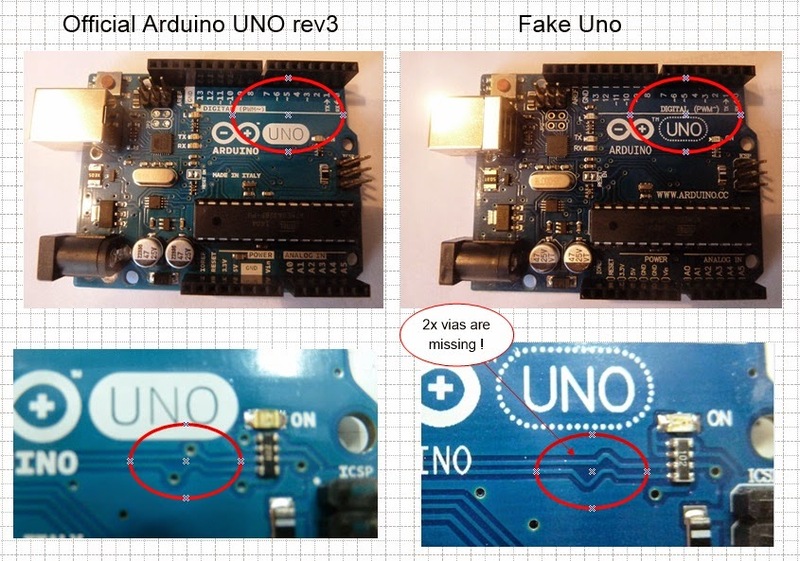 Also, do not ever say that "a microcontroller is basically rip-off Arduino" that is simply not true and there are many examples of development boards that pre-date the Arduino Uno that we take for granted. From the very beginning I have had my misfortunes with bootleg electronics. Why do I own a $400 Fluke 87 V? Because I know that it will not blow up in my hand, like my misfortunes with a $5, and sometimes free with purchase, Cen-Tech 7 function multimeter. Then there are the many various bootleg Arduino Uno R3 boards that died on me doing simple programs. Red LEDs that not only went bad, but actually exploded (Epoxy Shrapnel!). Hmmm... Why do I buy genuine hard drives? Perhaps because I've personally seen bootleg hard drives that have flash drives in them instead of a disk or genuine solid state memory as advertised. 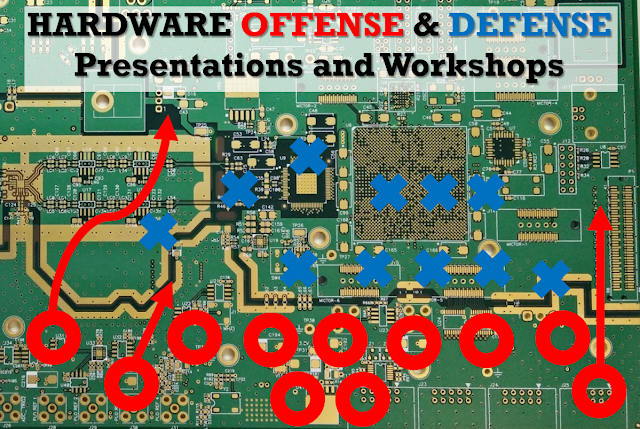 In my professional experiences with working in defense and aerospace, even parts from safe and reputable distributors were not immune from their supply chain getting tainted. This problem is well documented as seen in the IEEE spectrum article: The Hidden Dangers of Chop-Shop Electronics. I like to believe that I am not paranoid when it comes to ordering components and boards, but I have learned in the last 6 years of working with electronics that there is a point where you need to realize that when you buy bootleg electronics, it is probably going to be a lot more trouble than it is worth. If you use bootleg components in your project and it fails, and you proceed to use this method in another project, you learn the same lesson over and over again. My argument is that it is not worth it, you are lucky if it is a passive component, such as a resistor, inductor, or capacitor, but when it is anything that is programmable or silicon, good lucky trying to debug the exact cause! The simple truth is that using bootleg electronics will impede or stop your learning of electronics. The unfortunate reality today is that even reputable distributors like Digi-Key, Mouser, and Arrow can fall victim to having counterfeit components leak into their supply chain. Digi-key has highlighted this issue in an article back in 2011. The key to sourcing genuine components is not only to buy them from reputable distributors, but from distributors that have counterfeit parts policies (SAE AS5553 and AS6496 compliant). Most of the reputable distributors have return policies in place that will ensure that you get the genuine component you need and may even compensate you for the inconvenience caused. Ebay, alibaba, aliexpress, banggood, Amazon, and even some hobby distributors have very minimal anti-counterfeiting policies or none at all (especially Ebay and some Chinese vendors). Although most notability Adafruit, and Sparkfun do not seem to have these policies in place, they do have a very good return policy and support that can ensure that you get a working part/component. This is the major reason why I insist on people buying from the major distributors, along with Adafruit and Sparkfun. Arrow points out in their assurance policy that they are factory direct, which is a very effective measure at removing the risk of counterfeit parts. Some component and parts manufacturers require you to buy their parts directly from them, Mini Circuits most notably. Microchip/Atmel gives you the option to buy their chips and components direct from them. I have personally done this, since I have found that the Atmel 328p evaluation board direct from the factory is a lot cheaper than a Genuine Arduino board and is still compatible with the standard Arduino shields. Whether it is work or play, I would rather fork over the extra cash to buy genuine hardware and spend less time, blood, sweat, and tears trying to find intermittent problems that are due to counterfeit silicon, and that could have been easily fixed if I had spent a little more money on. This is why #HardwareMatters to me, it is not only about top tier electronics, but most importantly GENUINE ELECTRONICS.